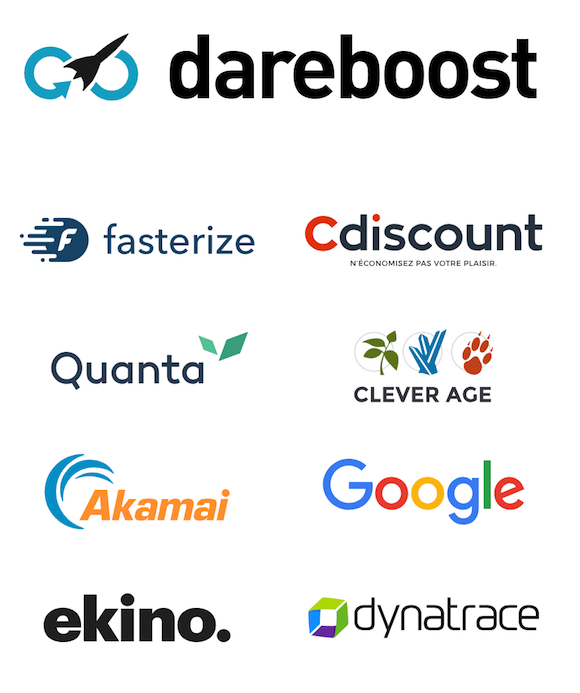 Gathered by the French retailer Cdiscount, three web performance specialists (Dareboost, obviously, Fasterize and the freelance Jean-Pierre Vincent) have set up a non-profit association dedicated to the organization, in France, of a major event dedicated to web performance. This first edition will take place in Bordeaux, on October 9, 2018, at the Palais de la Bourse. We are expecting more than 120 participants to attend a dozen conferences and roundtables. Web professionals, e-commerce professionals, and webperf experts will be gathered in a welcoming atmosphere, encouraging technical and methodological insights sharing and strategy optimizations. Essentially French-speaking, the exciting program of We Love Speed also welcome some renowned international speakers such as Rick Viscomi (advocator of transparency on the Web at Google and data steward of HTTPArchive which we often mentioned on this blog) or Philip Tellis (developer for Akamai but above all, creator and Lead Developer of boomerang, the open-source reference library for real-time user performance measurement). Why is it gonna be great? Boris, our Customer Success Manager, was heavily involved in the organization of this event. He provides answers to your daily performance monitoring problems and used that experience to help elaborate a conference that meets your central concerns. In addition to the conference talks, the event will also be an opportunity for many conversations between peers, to share issues and benefit from feedback from other actors during some informal gatherings. It is also an event which wants to be affordable: 180€ for the whole day! Don’t hesitate to plan your trip to anticipate a community evening and enjoy the event 100%! Don’t wait any longer to register !